This page contains a listing of this year's staff, important links, a couple videos, and downloadable documents. Note that with the exception of the staff listing this is 2017 information; 2018 information isn't available yet. Our dance weekend on Star Island is special largely because of the setting: a tiny, remote, stunningly gorgeous island in the Gulf of Maine. Sharing this unique place with fellow conferees is a singular pleasure, and the Star Island Corporation (SIC) hosts hundreds of visitors from June through September. The SIC website has nearly everything you need to know about being on Star. Let the registrar know if there's something you can't find after you browse these pages. Here are links to a couple videos about Star Island. Star Island 2018 Video. This is a short (3-minute) video from the Star Island Corporation introducing Star Island. Star Island on New Hampshire Chronicle. This was originally shown on New Hampshire Chronicle (WMUR, channel 9), Aug. 5, 2014. It provides a fuller introduction to the island (7 minutes). Ferry ~ Updated 2019 info! Arrive before 1:00 to bring checked luggage to the dock as soon thereafter as possible. If you go anywhere, please return for 1:55 boarding. 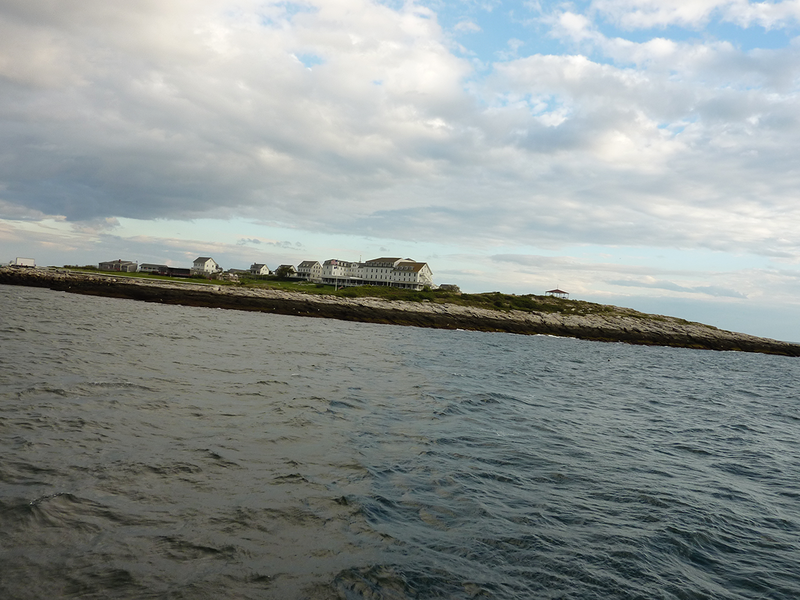 Departs from Star Island around 2:55 PM on Sunday 9/15/2019. Click on the Ferry link above for more information. Here is the Star Hampshire flyer, and some documents that will be useful while on the island. The Welcome Letter also contains important information about preparing for the weekend. Documents from the 2018 weekend are greyed out, although they may still be useful. Star Hampshire 2019 Flyer. If you're going to print copies to put out, the suggestion was made to print on blue paper for consistency with flyers put out at festivals and dances in previous years. Welcome Letter, 2018. The Welcome Letter contains various details about regular features of the Star Hampshire Dance Weekend, to remind old shoalers (past attendees) and inform new shoalers (first-timers). Star Hampshire Program Schedule, 2018. The 2018 schedule is here! Ron Grosslein playing for the Porch Dance. Photo by Peter Yarensky, Sept. 17, 2006.